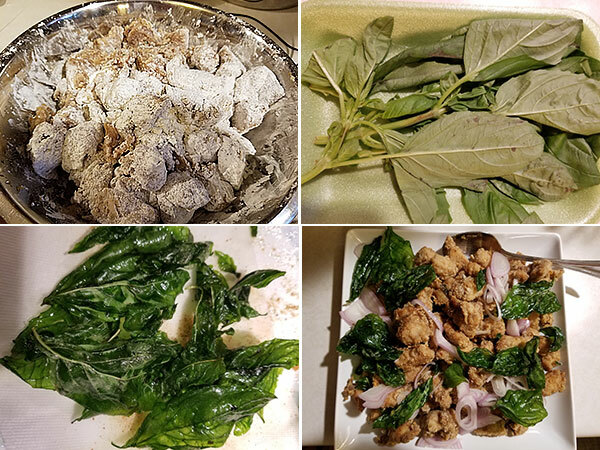 There are not many ideal times to cook and blog during my work week, primarily because by the time I am done with preparing and cooking for the family, it is dark and the photos are just not that great. I usually get over that fairly quickly and accept that is just how it goes down during the work week. This is one of those photos that are not at all very good, but let me tell you the flavor of this Tawainese fried chicken was pretty amazing. 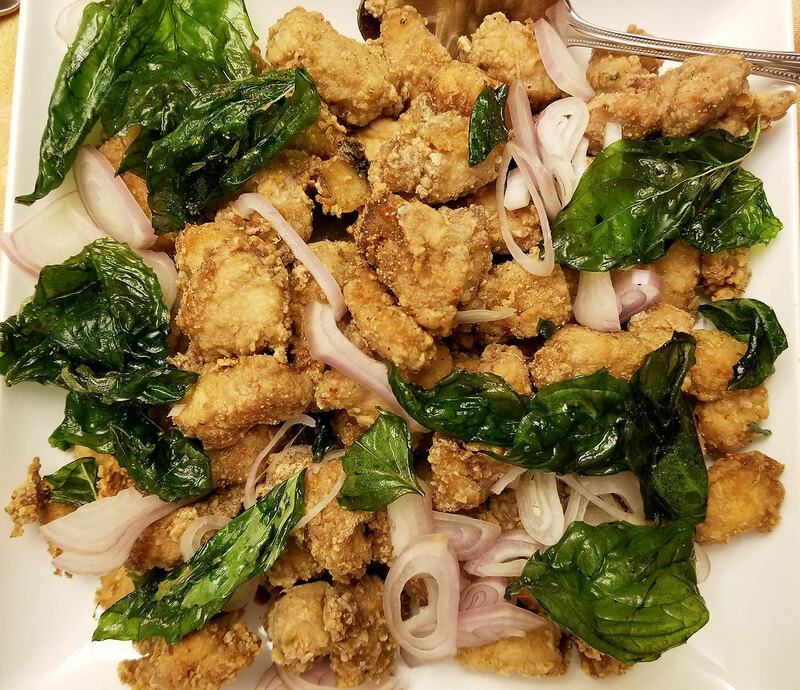 It was one of those quiet times at the table where everyone had their mouths to the fork or just crushing a sandwich loaded with this Tawainese chicken. This is fairly simple to make, and it one that can take on a marinade overnight, or simply for a hour, and then a bit of frying and boom! You have dinner. Start by blending the garlic, ginger, soy sauce and wine. Blend until smooth. Add this to a sealable plastic bag or bowl, and toss in the chicken. Give it a good massage and this marinade at least one hour, but preferably longer. When the chicken is done marinading, strain the marinade and get rid of rid. To another bowl, mix the flour and cornstarch. Add in the chicken pieces and get them nicely coated. Let that sit for a bit while he heat up the oil. Get the oil in a fry pot and bring this up to about 375 degrees. Once the oil comes to temperature, add in bits of chicken being careful not to overcrowd, and depending on how big or small you cut these, they are only going to take a few minutes. Cook them until nice, golden and crispy, then remove with a spider or slotted spoon and onto a paper towel lined plate. Season immediately with some of the white pepper, as well as some salt. Repeat until the chicken is done cooking. The last step before digging in is to make sure your basil is dry because you are going to fry it. For those who never have taken this step, it can be somewhat overwhelming because it will splatter and look like it might overflow, but only for a couple of seconds. Remove the basil after the sizzling has stopped and remove them with a slotted spoon. Mix the sauce, then add this to a large skillet on medium heat. Stir to let the sauce thicken, then add in the chicken and lightly coat with the sauce. Now it is time to plate. Add the chicken to a bowl or plate (sauce and all), shower with the shallots and top with the fried basil leaves.